Both Levels exert significant positive effects on numerous chronic health problems, such as hypertension, high cholesterol, heart disease, diabetes, breast tumors, asthma, tracheitis, obesity, hepatitis, erectile dysfunction, cervical problems, lower back pain, arthritis, neurosis, insomnia, constipation, allergies, acne, rhinitis, depression, and more. 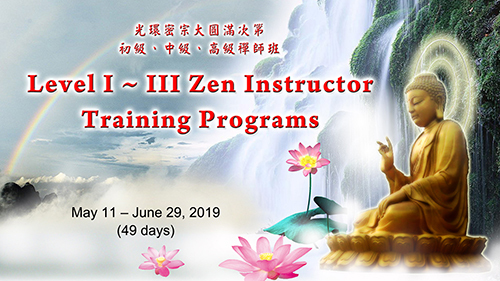 The Guang Huan Mi Zong Great Perfection Dharma will be taught in this program, resolving middle age crisis, optimizing genetic code, attaining benefits that can help prosper our nation. 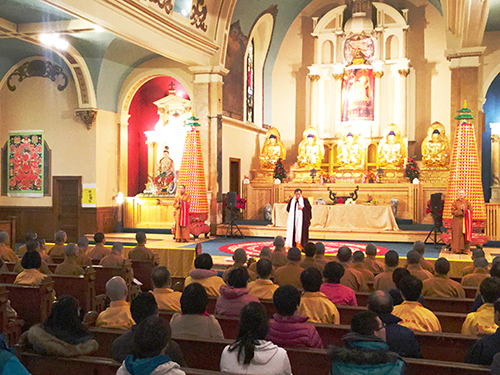 (1) Applicants must be GHMZ Converted Students and have learned Level II Esoteric Dharma. (2) No one will be allowed to join the class/program without prior approval. Different levels of GHMZ Great Perfection Dharma will be imparted in these programs. Outstanding and qualified students will be recommended to preach across the world. (5) Have a dedicated heart. * If the applicants have previously qualified from any Preachers/ Buddhist Instructor Training Program with certification granted, 50% of the tuition could be waived upon approval while meals and lodging will also be included. 1) Deadline: A written application should be submitted 10 days before the start of the program. 2) Once an applicant received a notice of approval, he/ she has to register at the Holy Mountain Buddha Land with all required documents 3 days prior to the start of the program. 3) Applicants must bring a copy of an internationally accredited physical exam record taken within the last 6 months. 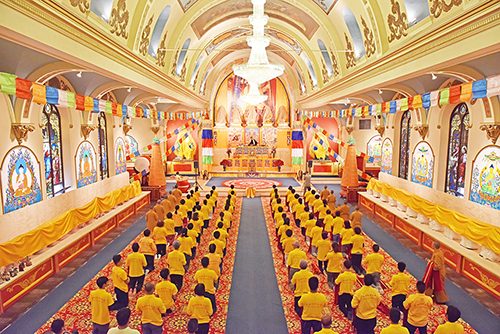 4) Enrollment/Reception will take place at Peace Hall of Holy Mountain Buddha Land. 5) Luggage is limited to two bags per participant. No luggage/baggage is allowed to be left behind at the Holy Mountain Buddha Land when he or she has finished attaining the program(s). If the students need storage service, each baggage will be subject to a daily charge of $2.00. 6) All applicants should be casually dressed; purified in body, mind, and soul; be respectful and follow all rules and regulations, as the GHMZ Holy Mountain Buddha Land is a sacred place for Arhats, Bodhisattvas, and the Holy Land of Buddhist Dharma practitioners. Holy Mountain Buddha Land is a solemn place. All applicants who do not conform to rules and enroll punctually or do not bring all necessary documents will be prohibited from joining the class/program.